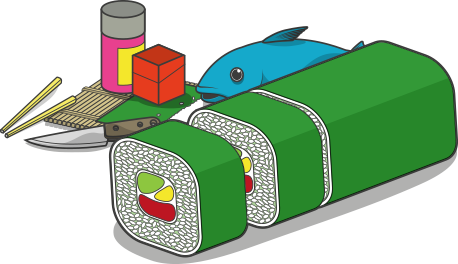 Consider yourself a sushi purist? If you’re of the mentality that ‘only the best will do’ when it comes to serving great sushi, scrimping on inferior ingredients just isn’t an option. Unbeknown to many, there are two varieties of fresh Wasabi, and knowing the difference can have a real impact upon your sushi experience. 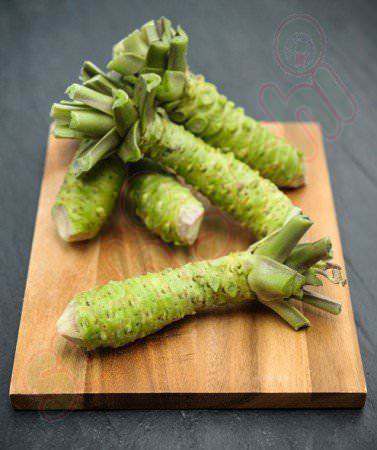 Wasabi is, by nature, a semi-aquatic (‘sawa’), perennial herb that grows wild on the banks of Japanese mountain streams. However, huge demand has also bred a field-cultivated variety known as “oka,” which is of markedly lower quality in terms of aroma and flavor. Organic ‘sawa’ rhizomes are peppery, aromatic and slightly sweet; the only variety used by world-class sushi chefs! Grown beside fast flowing waterways, The Wasabi Company’s Fresh ‘Sawa’ Wasabi is cultivated using traditional Japanese farming methods in the UK. Each plant takes two years to fully mature, and is measured against a list of grade markers prior to picking – (only the most fragrant and mature selected for retail). Wondering how The Wasabi Company’s ‘Sawa’ compares to wild, Japanese-grown Wasabi? Described as a “true flavour punch” by Raymond Blanc’s Executive Head Chef at the esteemed Le Manoir aux Quat’Saisons, British-grown Wasabi has garnered a staunch following since the first harvest, owing to its clean, subtly peppery flavor. Be it for chocolate-making, á la Harrods’ William Curley, or sushi garnish, British ‘Sawa’ rhizomes are as wonderfully pure as their Japanese-cultivated counterparts! Note: Please ensure someone will be home to receive your delivery, as rhizomes will need to be refrigerated immediately.